A server allows businesses to point all users toward a centralized location to access files and applications. 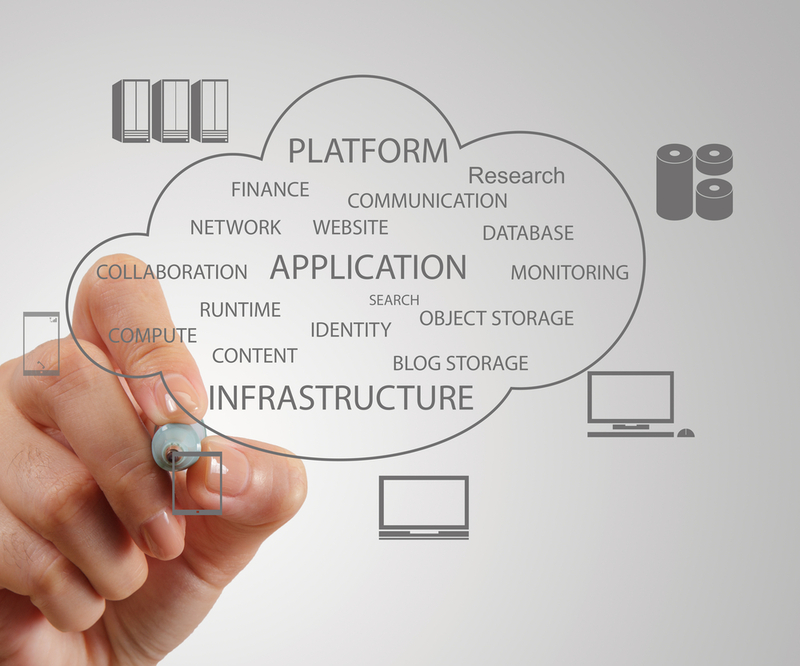 There are some considerations when deciding if your business needs a server. In general, servers offer many benefits, and are a common approach for businesses that want consistency, centralization, and/or PCI, HIPAA or other industry-specific compliance. 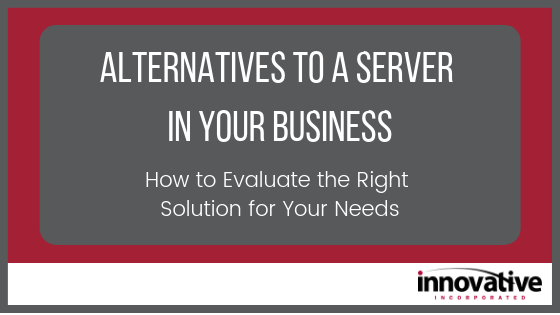 If you're not sure that a server environment is right for your business, there are other alternatives to consider, each with their own pros and cons. 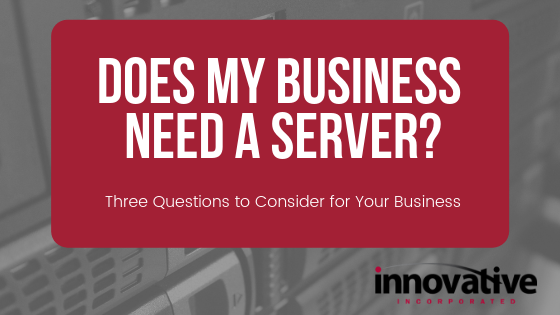 This is a very common question among small businesses, so let’s start with a quick definition of what a server is. A server is typically an on-premise, high-performance piece of hardware that is combined with a high-end, server-based operating system that is used to store data and centralize resources (what a mouth full). When done properly, all computers point to this server to access files and application data while hardware/software redundancy keeps a high level of up-time for your staff. There are numerous benefits to this type of centralization, but it doesn’t come without a cost. Wouldn’t it be great if every time you called your IT support provider, they answered the phone? Waiting for service is not anyone’s idea of a good time. With the pace of business in our world, it is unreasonable that the only option for acquiring IT support is waiting by the phone like you are expecting a date to call. Unfortunately, this is frequently the service you get from single-person IT support operations, otherwise known as your outsourced "IT guy/girl." 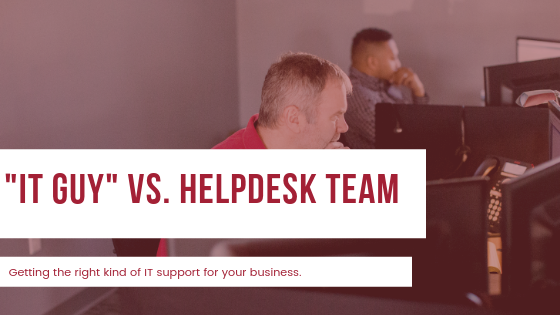 This level of support may be fine for your home PC, where processes and payments are not depending on technology working right now, but for small and medium businesses, the consistent coverage provided by a trained, business-focused helpdesk team can be a lifesaver. It happens quite often – someone points out to you that they’ve received a strange email from this person or that person, or maybe even you. Of course, you don’t remember sending that email and why would you include the need to pay an invoice in it for a co-worker? Spam and spoofed emails are a common way hackers and malicious programs penetrate business networks, and are nearly impossible to prevent on a global basis for a given network. 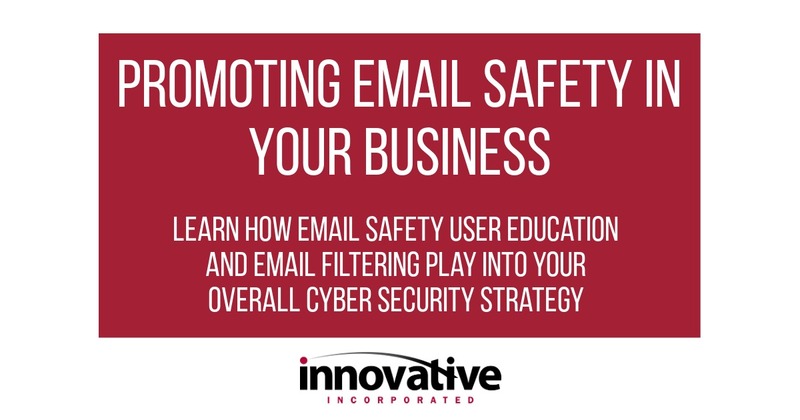 However, there are precautions that significantly decrease the volume of malicious emails and educate users on how to handle those that make their way into their inboxes. Every small business owner has lived some version of this story. An employee who performs a critical business function experiences workstation failure. Sometimes its ransomware, sometimes a hard drive fails. No matter what the underlying reason, the result is the same and money is being lost every second. Small business owners aren’t the type to let something like this deter them. They solve a thousand problems like this every day. When the problem is, “we just need to buy a computer," many business owners are inclined to quickly acquire one from a local retailer or handy e-commerce site. When you buy a new PC this way you feel confident in your purchase if it has the needed hard drive space and the salesperson confirms or online specs show that it meets your business needs. You get it back to the office and submit a request to the IT department or service provider to set it up as soon as possible. Crisis averted, on to the next fire the day brings. It’s true this computer has the requisite hard drive space and power to do any job your employee requires. It’s a brand-new computer. It has a warranty with the manufacturer. 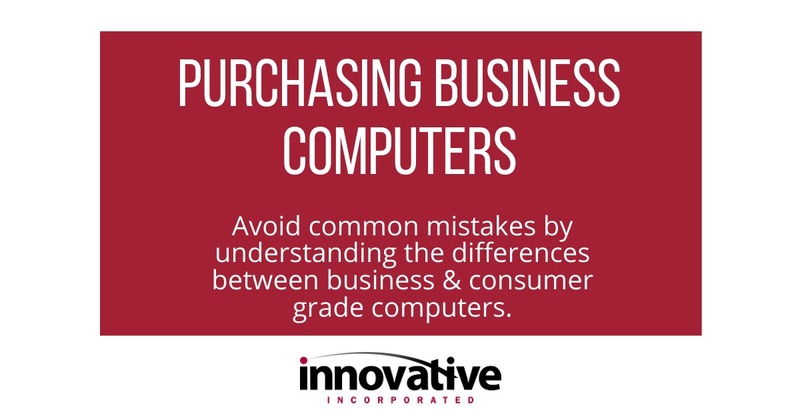 However, there are differences between business and consumer-grade computers not apparent in the specifications. 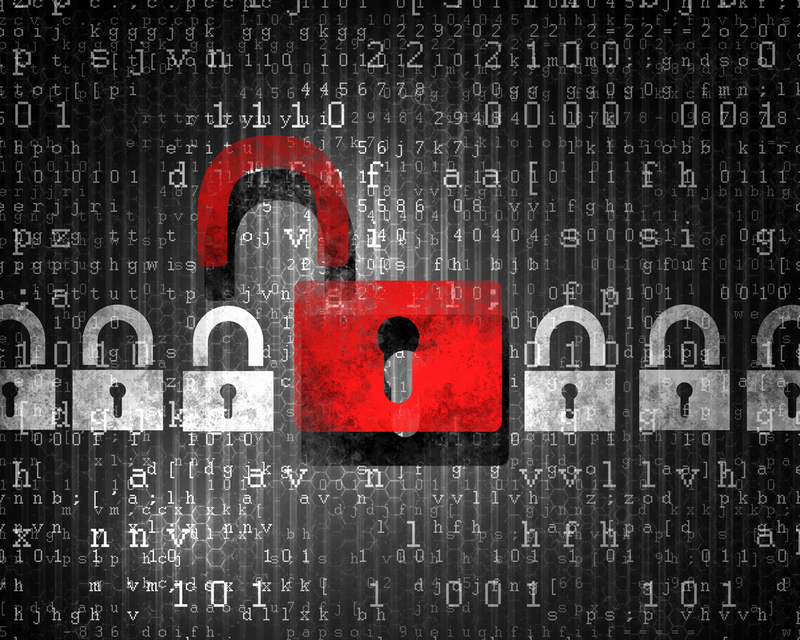 Cyber threats are a major risk to every business of every size. Risks associated with viruses, ransomware, and identity theft can cost you lost revenue, loss of reputation, and in many cases even put you out of business. In today’s world, it’s not a matter of IF a business will experience a cyber threat but WHEN, so all businesses must be prepared. Specific security requirements vary based on the size and scope of your business, nature of your work, and security compliance regulations. However, a good, multi-layered security approach for all businesses starts with threat prevention, but most important to protecting your business, is built on the foundation of a solid disaster recovery system. This approach should include the following components. Computers, Printers, Copiers, Phone Systems Oh My! You know your business depends on technology for day-to-day operations, but do you know the impact it has on things like employee retention, customer experience, and overall growth potential? Do you know how much you stand to lose if your technology systems fail – or worse yet – would your business even survive a major outage for any length of time? Technology is a major factor in your ability to grow your business and must be planned for strategically. Fixing is reactive and doesn’t allow you to proactively plan for your technology investments. A more strategic approach helps to ensure you’re making investments in technology that contribute to the success of your business. Technology, like any tool, is only as good as its fit for the job. Fixing your chainsaw isn’t the best investment if what you really need is a nail gun. A sound IT strategy helps to determine when changes in your business and/or job functions dictate changes in your IT tools. Fixing only allows you to maintain the status quo. Is your business the same as it was three years ago when you purchased that sluggish computer? If not, your investment may be better spent on new equipment better aligned with your business needs today and not three years ago. Fixing doesn’t allow for lifecycle management. With an average lifespan of 3-5 years, computers and servers should be replaced as they approach end-of-life. A comprehensive IT strategy will track anticipated replacement dates and assist you in making educated decisions on investing in repair vs. replacement. Is Windows 10 HIPAA compliant? The short answer, it depends. The Health Insurance Portability and Accountability Act (HIPAA) is about more than just the tools you use, but how you use them. While some applications may never be HIPAA compliant, others that offer compliant features can still get you in trouble if your equipment is not physically secure, or if your employees are not trained to use the tools in a compliant way (i.e. walking away from a workstation without signing off or sharing passwords). 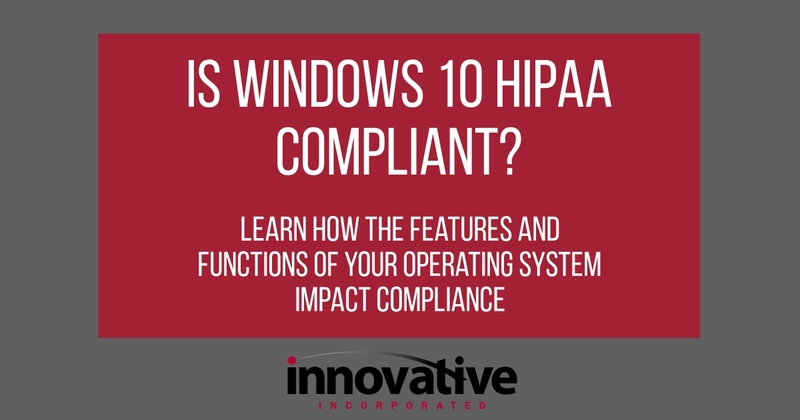 At a minimum, HIPAA compliance requires you use the Pro version of windows, as Home versions do not offer the functionality required for HIPAA compliance. Additionally, your operating system must be currently supported by the software vendor. 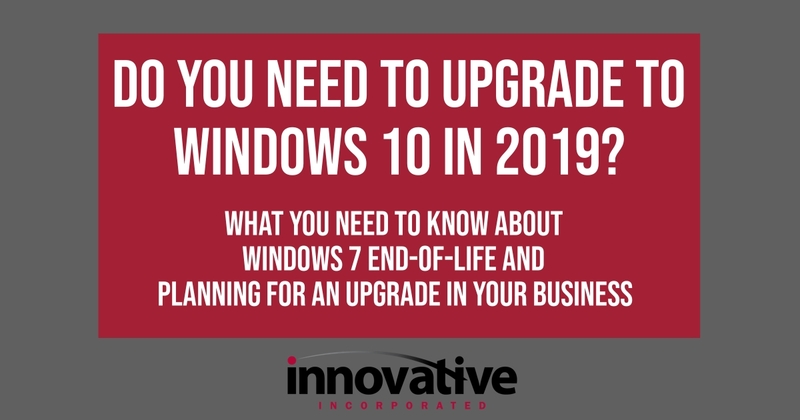 Any version of Windows prior to Windows 7 is not compliant, and Windows 7 will not be compliant after the Windows 7 end-of-life date on January 14, 2020. This article focuses on Windows 10 because other versions have reached or will soon reach end-of-life. Do I need to upgrade to Windows 10 in 2019? As technology advances so do the software needed to make it run efficiently. At the beginning of the year, Microsoft published a reminder that Windows 7 will lose support on January 14, 2020. If you're wondering how this affects you and your business, here are some things to consider. 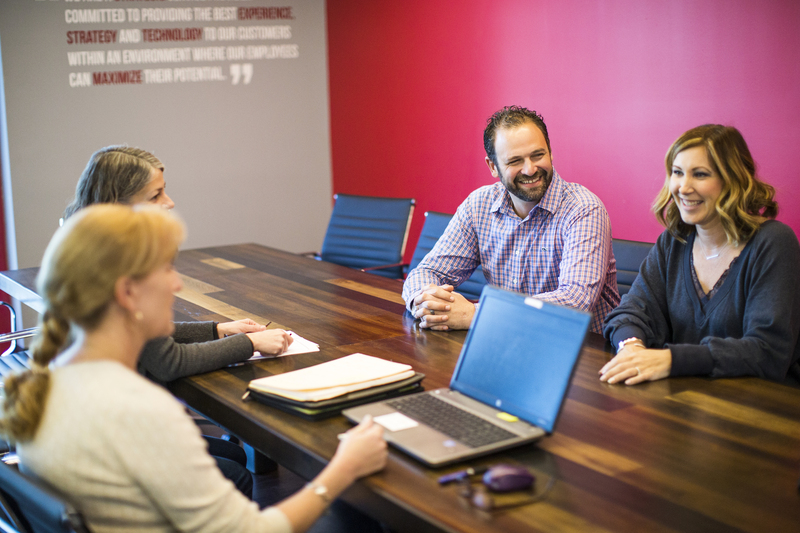 Is the old technology in your business impacting employee retention? It’s happened to all of us – your computer crashes just before you save the report you’ve been finishing all afternoon or the printer jams while you’re printing that big proposal. Anger, frustration, helplessness, and a touch of nausea are the result. These are the absolute worst feelings employees could have on the job, and the more frequently they feel them, the more likely you are to lose your top talent. Cost is often a big reason cited by business owners for not upgrading or advancing technology, but the truth is that fast computers, high-speed internet, accessible data backups, and secure electronic files are not luxury items. They are essential tools to most effectively utilize and retain your greatest asset and most limited resource – your most talented employees. Expert advice and best practices allowing you to leverage technology for business growth.